You’ve probably seen the signs or ads promise you can make hundreds of dollars every month by shopping and going out to eat. And you’ve probably though it was too good to be true. Well, those advertisements are likely a little over-the-top and just designed to get you to sign up for some overpriced list which you can find yourself with a little searching online. But mystery shopping is a very legitimate source of income and in many areas, the jobs are plentiful and the pay is decent. What Skills Do You Need to Have to Become a Mystery Shopper? A good mystery shopper is someone who is attentive to detail and thorough in everything they do. In addition, it is very important that you keep accurate records and follow instructions carefully. Many shops will require you to look for very specific things, keep track of the time, and ask specific questions — all without seeming suspicious or giving yourself away as a mystery shopper. How Do You Get Started Working as a Mystery Shopper? When I first began mystery shopping, I signed up for all of the mystery shopping companies listed at Volition.com. I opened up a separate email account which was dedicated to mystery shopping emails and used that when I signed up. It took me hours to sign up with all of the companies and it was quite time-consuming, but the effort paid off as I ended up landing dozens of great mystery shopping jobs over the next two years. If your readers are interested in mystery shopping, they should check out the MSPA’s website (Mystery Shopper Provider’s Association) which acts as sort of a BBB for mystery shopping. The MSPA has a list of legitimate mystery shopping companies here that require no money out of pocket to shop for them. IMPORTANT NOTE: You should never pay to sign up with a mystery shopping company. They may ask for a fairly extensive application process to make sure that you are thorough, detailed, and qualified. They will ask for your social security number and other personal information (always make sure the site is secure and the company is legit before giving out personal information). But a legitimate mystery shopping company should never ask for money upfront. If they do, run far, far away and don’t turn back. They are a scam company and you do not want to get mixed up with the likes of them! How Do You Find Out About Job Opportunities? If you’ll thoroughly fill out all the applications and have patience, you’ll likely begin to see quite a number of job opportunities sent to you. Many times, these jobs are filled on a first-come, first-served basis, so you’ll want to check your email for job openings a few times each day and be quick to respond to any which you are interested in. Some companies also have online job listings that you can apply for. It typically takes a few months to build up a rapport with the companies. Don’t be discouraged if you get passed over for some of the better job opportunities in the beginning. If you are patient and prove yourself, you’ll likely start to be offered better jobs. In fact, sometimes the company will start offering the job directly to you versus opening it up to others since they know you have done a great job in the past! When I was mystery shopping, I did fast food shops, casual dining, high-end restaurants, gas stations, beauty supply stores, pet stores, and even a bowling alley, to name a few. I found restaurant shops to be my favorite as they usually not only reimbursed for a meal for myself and my husband, but they also usually paid at least an extra $10 for the work involved. It was very worth it to me to get a nice free dinner date with my husband plus some cash, all for about 30 minutes of extra work! Most mystery shopping jobs pay between $7-$15 and include some sort of reimbursement as well. This is usually for an average of an hour’s worth of work, give or take. Once you’ve established yourself with a company, you may be offered jobs that pay $20 to $25 per hour, or more. These jobs are typically not offered to newbies. Mystery shopping is a lot of work — especially in the beginning when you are first learning the ropes! 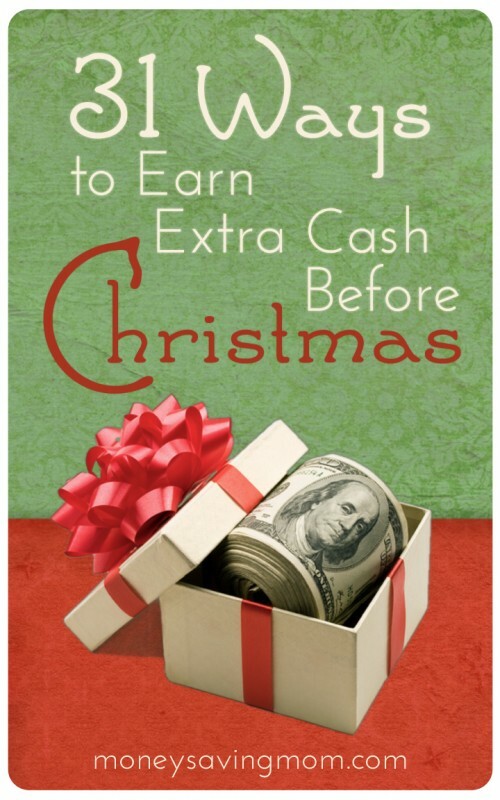 If you stick with it, though, it can be a fun and rewarding experience that can also help supplement your income — or pay for some of your Christmas expenses! I always thought that mystery shopping would be something I would enjoy but I was a little worried about signing up with a company that was a scam. Thanks for listing the legitimate ones that some of your readers have actually used. I’ve been mystery shopping for a little over a year, and I really enjoy it. I’ve had the opportunity to put back some Christmas gifts from popular stores in the mall that I’ve been reimbursed for. Just the other day, we had pizza delivered to our house that was a mystery shop. I would encourage anyone who is interested to give it a try, and if anyone wants specific information, I would be happy to guide them. But I think this post is a good starting point for those interested. If remembering the details seems intimidating to you, just text the details to yourself on your phone. But if are willing to pay attention to be very thorough, be honest and fair, and submit your reports on time- you will get plenty of offers! What are some of the companies you do mystery shopping for? And about how many do you do a week/month? I want to do this as I am a student, mom, and working so I want to find something where I can make some extra money but not get another scheduled job. I want to have the quality time with my family so I think this would be a good fit! Thanks! I complete about one shop a week. You get emails about job offers, and if the hours and location work for you, you sign up to complete the shop as it fits your schedule. I have about 10 companies that I shop for. Some of my favorites are Amusement Advantage, Beyond Hello, BestMark, and Second to None. But, it really does depend on your area, because I know that there are well established companies that haven’t contracted with any stores where I live. Voltion.com does a good job of explaining what areas of the United States the companies offer shops for, so I would recommend looking at that online list and deciding what’s close to you and what you want to do. If you’re interested in using a referral link, contact me through my blog and I’d love to have you sign up under me. I’ll only send you links for companies that I’ve completed shops for and have good experience with. I think you get a $5 bonus for having someone sign up under you. But I understand if you don’t want to do that. YES!! I love mystery shopping and have had good success with Bestmark. I am happy to see this list of other reputable companies out there as well- I have not heard of most of them, but can definitely vouch for Bestmark. I’d be happy to answer any questions or give my shopper ID for anyone who would like to sign up (I get a referral bonus for those who sign up with my number who are hired and complete a shop-another good way to increase those checks a little bit!). Do you feel your time and gas expense is worth the money you get paid for an assignment? I’m trying to sign up…what is your shopper ID so that you can get credit? I signed up for bestmark and they never contact me I live in VA Roanoke and there are not alot of jobs here. When it is they go pretty fast I work full time I am looking for Christmas money and part time income. I would l ike to do 1 or 2 shops a week or more. When I was between jobs, I signed up at many of the companies you listed for mystery shopping. I live in a small town, approx 30 miles from an outlet mall and traditional mall. Perhaps it was the area I lived in but I never received more than 3 or 4 “shops” a month and they were never scheduled together in any way. For me, it was just too expensive in gas to do these random shops. Also, some shops required me to buy something and then return the item, requiring me to have the available cash or credit. It was quite a bit of work and in my area, there were rarely offers for food, amusement parks etc. That was kind of my experience too. I live 5 min from Tanger Outlets, but they always wanted to send me to fast food places that were 25 miles away. I couldn’t justify the gas expense or having to shell out my own money to get reimbursed later. I deleted my account for that reason. I have done some mystery shopping and found it to be a fun way to get free food/ stuff and earn a little money too. But since I live in the country, I do not go to town everyday, so the scheduling was just a bit much. BUT, if you live in the city, or work and have lunch hour free, this would be a great side job for you. You could have someone else buy your lunch several times a week, in exchange for filling out a form when you get back to work. I have found that you need to be very careful with details: times, names, buying just the right thing, etc. It is not too hard, and gets easier with practice. While it won’t make a mortgage payment, you could get a free lunch. This sounds like an incredible opportunity. I’m a full time at home wife/mom, and I’ve considered mystery shopping before… but I wasn’t sure about the rime commitment. My husband works at a national pizza chain and has mystery shop orders from time to time, so I know there are some legit ones. Thanks for writing this post, Crystal! I’m going to talk with my husband and see about signing up for them this afternoon! I love mystery shopping! I live in the middle of West Texas so there aren’t tons of shops available, but I would say I do 2-3 per month on average and make between $5 and $15 per shop. My favorite is Trendsource (msishopper.net) – the shops are usually quick and easy – and I have used Market Force as well. I’ve been a mystery shopper for a little over two years now. It is fun – but be prepared to spend at least $100 out of pocket to get started. I have recently stopped because I question how much money I’m really making each month. Most job require that you buy dinner, or groceries or if you visit a store-they want you to make a purchase to prove you were there. This adds up pretty quickly! And, most of the time when our family goes out to dinner – we’ll easily spend $35+ for our family of 4 to, yet most jobs you’ll only get $25 back. You also have to consider gas for driving to all these mystery shops. And TIME…oh my goodness….TIME….most mystery shop jobs want you to fill out a survey telling them about your experiences. Some of these surveys can take up to 45 minutes to fill out! And – stay at home moms…forget about it….90% of the jobs state that you cannot bring kids with you. If you plan on just doing 3 or 4 a month to maybe get your oil changed for free or go out to eat at a discount, it’d be great. But if you’re really wanting to earn money – I would not suggest mystery shopping. And as some of the posters said above – if you live in a small town, you’d be lucky to a get a few random jobs a month. I live in Omaha, NE and had a very steady stream of jobs – my problem they were all over town sometimes so scheduling to try to save gas was difficult. One other thing I forgot to add about mystery shopping – most companies pay 30 days after the job was completed. So if you’re buying items for mystery shops keep in mind that you won’t see that money back for awhile. Sam, I live in Omaha too. Do you mind providing me with the name of the companies you previously worked with–the ones you would recommend? Second to None – Lots of Krispy Kreme shops! But be careful about scheduling jobs all over town – some have to be done in certain time frames. One day I spent driving from Papillion to Mo Valley and back because I didn’t pay attention to time frames! Bestmark always has alot of lunch and dinner mystery shops – mostly at Buffalo Wild Wings, some at Granite City. I started Mystery Shopping when I moved and was looking for a job. I’m fortunate to live about 20 minutes from a city and about 30 minutes from an outlet mall. My advice is to try to schedule 2-3 mystery shops for the same area so it’s worth the gas expense. I would also plan to do my grocery shopping for the week or errands while I shopped to cut down on my trips out of the house. It takes a few shops to get the hang of it, but once you find a good way to be organized it’s fun and an easy way to make money. I’ve even gotten paid to buy groceries so a win-win! Also look for food shops that are delivery options, you don’t even have to leave the house to mystery shop! I just wanted to share another “mystery shopper” type job that’s pretty flexible. I work for an iPhone app called Field Agent (check it out at fieldagent.net). They have mystery shopper jobs that range from $3-10 or sometimes even $15 for doing things like taking a couple of pictures of a Halloween candy display and answering a few questions. Some of them are even at home survey’s. You just have to download the app, sign up to be an Agent and then look at the available jobs. Once you reserve them, you have 2 hours to complete them (like while you’re already running errands). Depending on your area, you could do a couple each day. Not too shabby! Do you have to pay taxes on any of the money you make through Mystery shopping? I notice some have it listed as an Independent Contractor, so is a business license required? Yes, you have to report all money earned through any avenue. But, in most states, you wouldn’t need to set up a formal business to be working as an independent contractor. Do you know if Mystery Shopper companies generally provide us with 1099 or W2 forms at the end of the year (or whatever that form is that tells how much you made through them)? I did mystery shopping for a while. Here is one tip: Prepare ahead for your shop! I would write out a 3×5 card with notes like things I specifically was asked to watch out for. I did not take out the card while in the shop, but I would jot down my answers as soon as I got into my car. Now with smart-phones you could even pretend to “text” someone and text all your observations. I’ve been mystery shopping for a while now, thanks to Crystal’s previous post on the subject. I appreciated the reader feedback and applied to a couple of the companies that readers suggested. I’ve now added a couple more as I’ve gotten the hang of it. It does take a detailed and prompt person to mystery shop. I find that it takes me about an hour for most surveys. Now I spend my time on restaurant shops that my husband and I enjoy for dates or fast food my family enjoys. I like lunch dates because it gives me time to fill out the surveys later, instead of staying up late to complete them (most have to be in by 10am, which is 8am for me in the Pacific time zone, or 12 hours after completion.) I would recommend it for someone who wants to save money, versus making an income.